This Outlander MacKenzie Tartan Bow Tie sporting the tartan print from the show adds a bit of class to your sass! 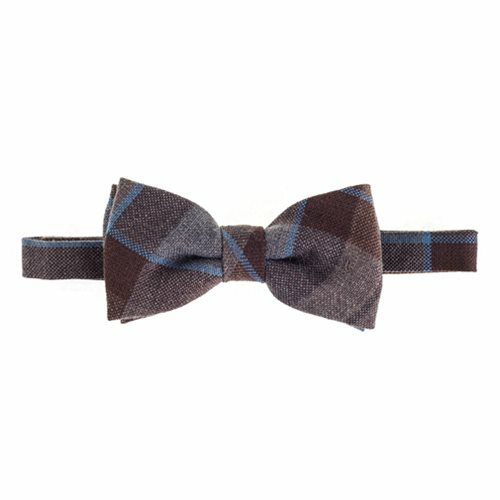 Every man should own at least one bow tie, and what better than a Scottish-made Outlander MacKenzie Tartan Bow Tie? Just look at that style! This 100% pure new wool tie is great for making your golfing mates jealous or suiting you for your brother's wedding to that Sassenach girl from down the way. And don't worry, sonny, if you're not familiar with how to tie one, this bow tie can also be clipped on!